SMTD’s new Wellness Initiative is addressing the unique physical and psychological challenges faced by performing arts students. 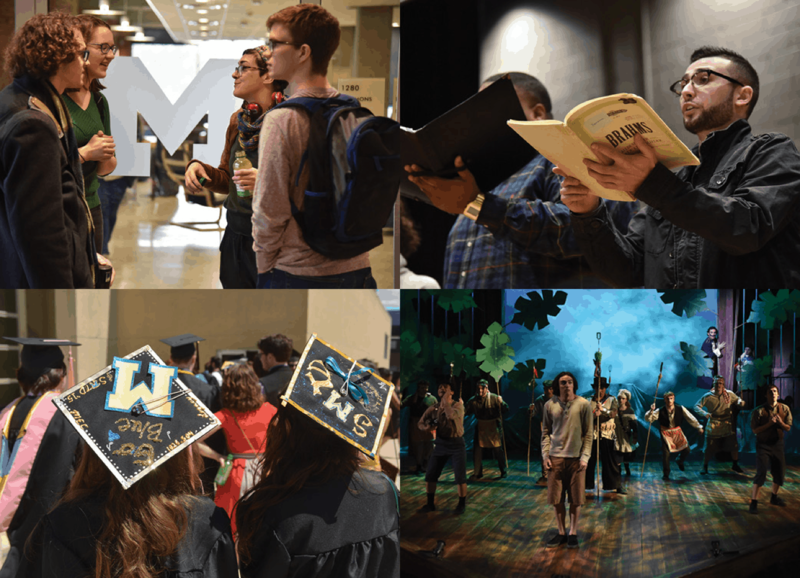 With the exception of intercollegiate athletics, there is no program at the University of Michigan that is more physically taxing than the study of the performing arts. Instrumentalists, singers, dancers, and actors constantly use their bodies in service to their art, often inflicting repetitive stress and pain that cannot be avoided. A recent survey conducted at the School of Music, Theatre & Dance revealed that approximately 80 percent of current students experienced some kind of pain at some point during their college careers. Coupled with these physical challenges are unique mental stressors. The high level of competition, striving for perfection, stage fright, anxiety about what their careers will look like in a field that can be both highly competitive and intrinsically uncertain—any or all of those factors can contribute to compromised mental or emotional health. 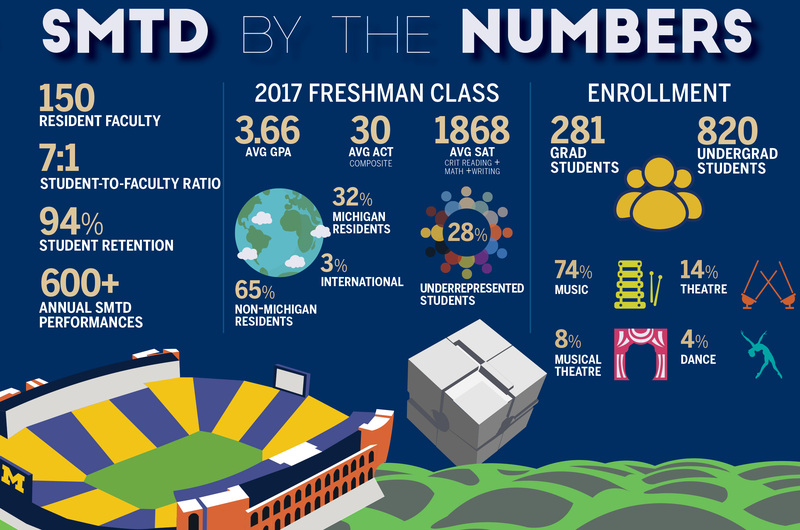 These issues are not unique to Michigan students, of course; all performing arts students face the same challenges. At SMTD, however, a concerted effort is being made to address both the physical and psychological well-being of students through a comprehensive Wellness Initiative. Both holistic and preventive, the initiative is distinguished by on-site services, full-time staff, and the resources of Michigan’s top-rated medical program and comprehensive wellness programs. SMTD’s Wellness Initiative was instigated by Interim Dean Melody Racine, who, in her role as associate professor of voice, has long been involved with Michigan Medicine’s Vocal Health Center. She works at the Center with otolaryngologist Dr. Norman Hogikyan and with a speech therapist to treat not only performing artists, but patients of all kinds who have voice problems. 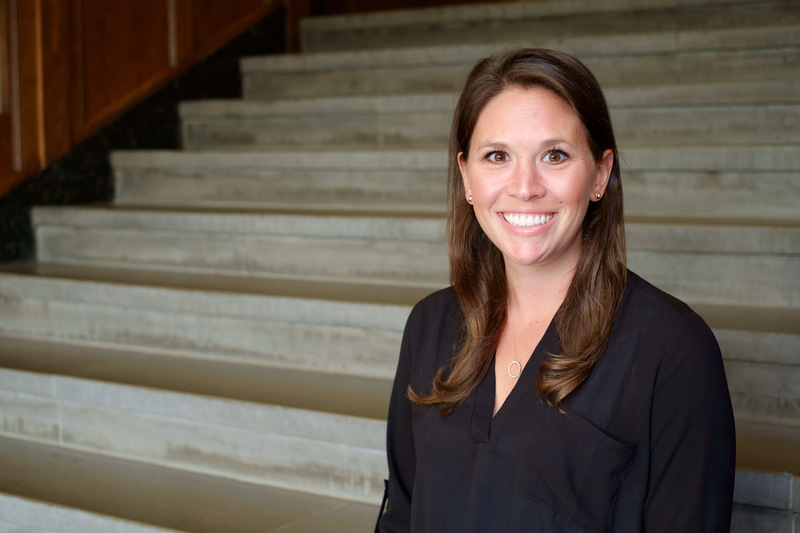 Racine finds this work tremendously rewarding, and it made her keenly aware of how devastating an injury can be to an individual’s overall sense of well-being, heightening her concerns about student health. In her previous role as associate dean of student and faculty affairs, student care was among Racine’s responsibilities. She came to realize that North Campus students did not have easy access to the University’s Counseling and Psychological Services (CAPS) counselors; they were all based at CAPS’ offices on Central Campus, requiring time and effort for SMTD students to travel to them for help. Racine knew that a student with a pressing mental health issue would be more likely to seek help if that help was down the hall—or down the block—rather than a bus ride away. So she inquired about the possibility of having counselors located on North Campus. She was thrilled when CAPS administrators offered to embed a counselor within SMTD, and was even more excited when SMTD administration unanimously agreed to the plan, despite the School’s perpetual challenge with available space. 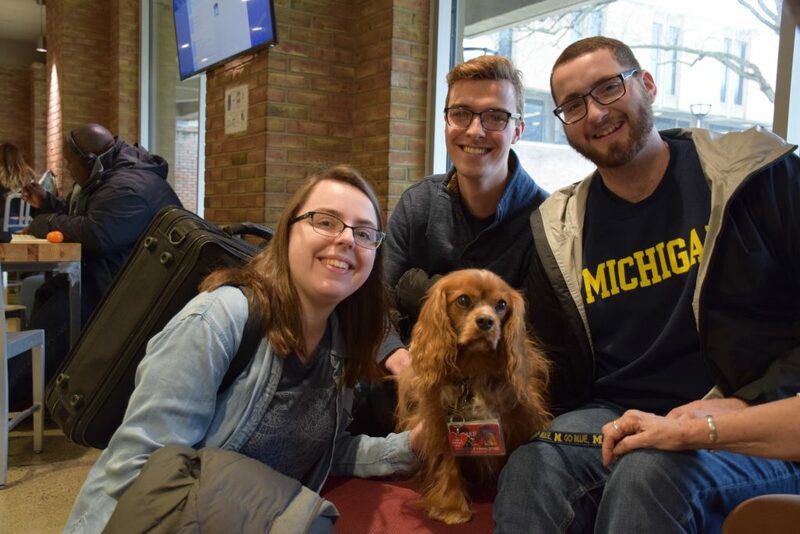 CAPS, with the support of the Vice President for Student Life and the Office of the Provost, decided to expand the model, and the embedded-counselor program is now available at 12 of Michigan’s 19 schools and colleges. Emily Hyssong was hired as SMTD’s CAPS counselor and was provided an office in the E.V. Moore Building. Hyssong is uniquely qualified: a licensed master social worker, she is also an SMTD alumna who double-majored in viola and psychology as an undergrad. As such, she has an empathetic understanding of the special challenges that performing artists face. Hyssong cites perfectionism and competition with peers as a deeply rooted part of how artists see themselves as people. 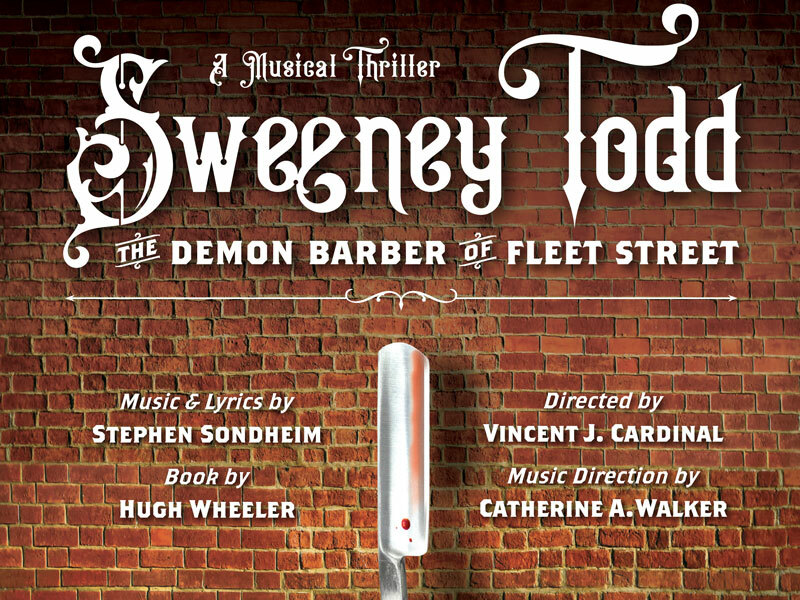 Failing at an audition or not performing as well as hoped is especially hard-hitting. In addition to one-on-one sessions with Hyssong, the mental health program now offers a variety of on-site services for students including drop-in meditation sessions; a lunch workshop series with Hyssong to promote positive coping, mindfulness, and self-compassion practices; a semester-ending stress-relieving event; and courses such as a Contemplative Practices Seminar and The Inner Business of Music. Hyssong notes that a huge benefit to being on site, week in and week out, is that it helps to destigmatize the notion of seeking help from a counselor. By being a steady presence in their daily lives, Hyssong is familiar to students. The answers came in the fall of 2016 when wellness coordinator Paola Savvidou was hired to manage the Wellness Initiative. She was charged with adding preventive medicine and injury recovery onto the existing counseling and psychological services to create a full-spectrum wellness program under one umbrella. Savvidou has an extensive background in both music and wellness practice. 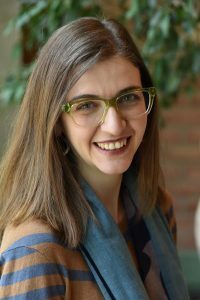 With both a master’s and a DMA in piano performance and pedagogy from the University of Wisconsin, she began incorporating her research into wellness for the performing artist as an assistant professor of piano pedagogy at the University of Missouri. She won “Article of the Year” from the Music Teachers National Association two years in a row: for “In Search of the ‘Perfect’ Musical Performance,” published in the American Music Teacher in 2015, and for her interdisciplinary research article “Assessing Injury Risk in Pianists: Using Objective Measures to Promote Self-Awareness,” published in the MTNA e-Journal in 2016. 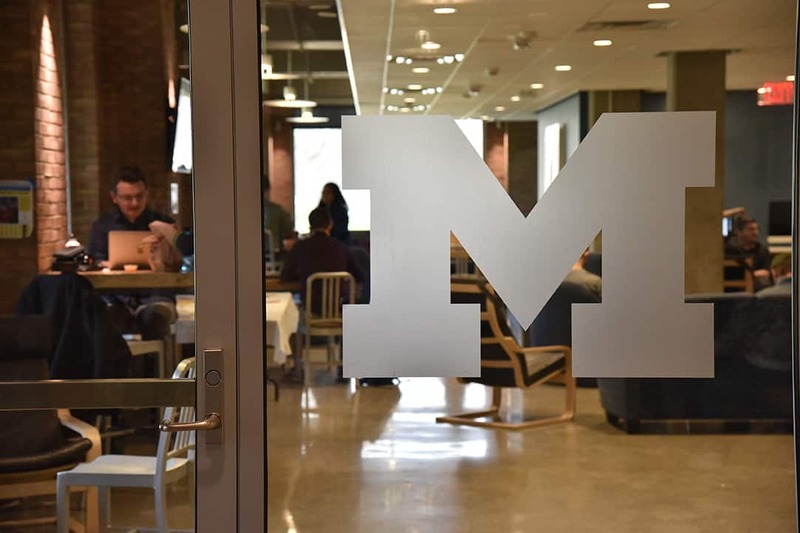 Savvidou has been instrumental in taking advantage of the vast resources of U-M and partnering with several of the exceptional Michigan Medicine programs, such as MedSport, the University’s comprehensive sports medicine program. 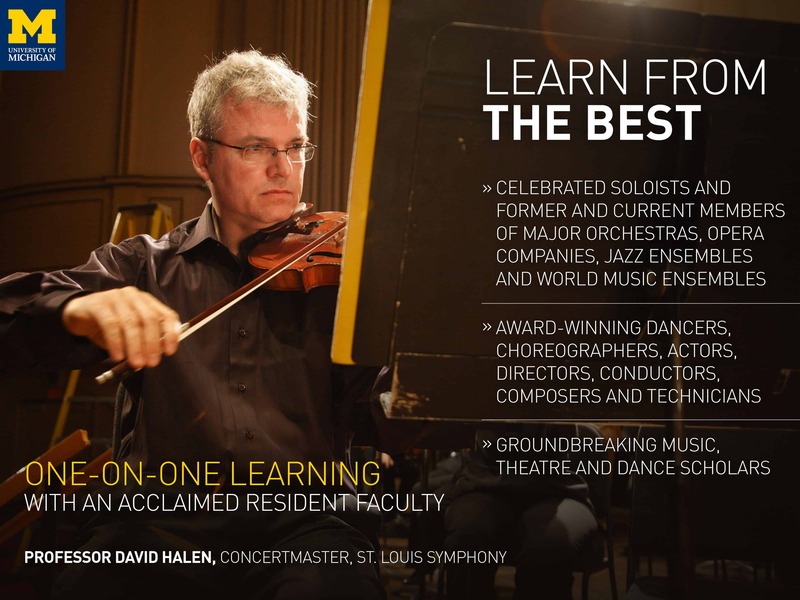 The result is the Performing Arts Health Clinic, open to SMTD students, faculty, and staff, which brings therapists on site to the dance and music buildings. It offers one-on-one appointments with MedSport clinicians to deal with a variety of physical challenges, and with hand specialists to focus on hand maladies that instrumentalists encounter. In addition, the MedSport partnership provides for on-site neuromuscular and musculoskeletal assessments for freshmen. The assessments set the students up for successful careers by helping them—from the start of their enrollment—to be mindful of their postures, to be aware of any misalignments, and to receive personalized training to address issues. 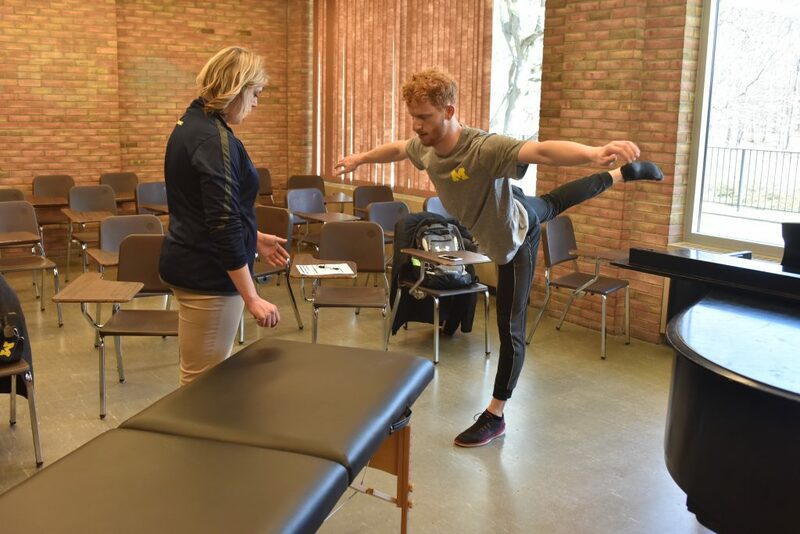 Courses dealing with physical wellness are also offered, such as yoga and Alexander Technique, and a holistic course taught by Savvidou titled “Wellness for the Performing Artist.” In addition, the SMTD website now hosts an extensive list of University resources directing students to the many avenues of help, treatment, and support that are readily available at U-M, such as the Comprehensive Depression Center, SAPAC (the Sexual Assault and Prevention and Awareness Center), and The Spectrum Center, U-M’s Office of LGBT Affairs. Although the program has grown exponentially in the short time since Hyssong and Savvidou were hired, further expansion is a priority.